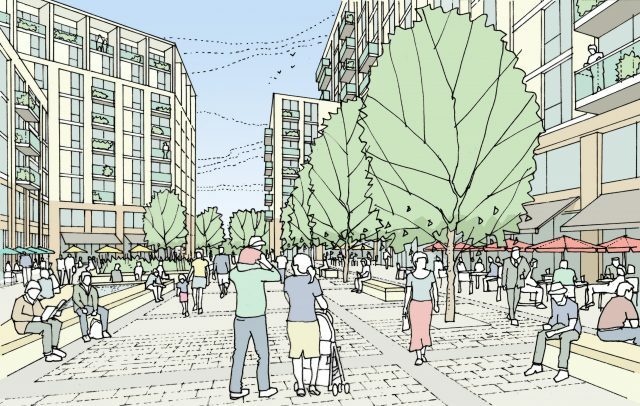 We are delighted to announce that planning consent has been received for the mixed use scheme at Broadwalk in South Bristol. 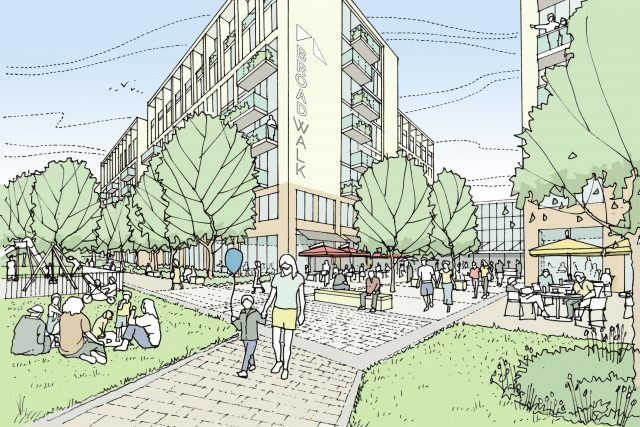 CampbellReith provided support for transport, ecology, FRA, Drainage Strategy, geotechnical, land quality, with the addition of air quality, bat, topographical and surveys using our supply chain in order to obtain outline planning permission for the scheme, resulting in unanimous approval from the Bristol City Council planning committee. CampbellReith proposed to utilise blue/green roofs to attenuate surface water at source with additional attenuation under the central plaza; advised on the demolition and construction phasing; undertook structural surveys and ongoing structural monitoring of the existing concrete car park. We look forward to being involved with providing these services for the implementation of the design of this scheme. Images courtesy of Keep Architecture.